If your general Terms of Service are already federal–friendly, include a link to those general terms. The quickest and easiest way to get to a point where federal agencies can legally use your product is for you to incorporate these federally–appropriate clauses into your standard or general Terms of Service. You can do this by express revisions within the document (by way of example, you could indicate in the existing clause on law and jurisdiction, that if the user is a federal agency, federal law and federal courts will be used). Or you can do this via a link (“Use by federal agencies will follow the terms found here [link]”) Either of these choices will allow many agencies to sign up via the automated, labor–saving “click–through” process. If you prefer to draft a “side–letter” amendment for consideration by federal agencies, please include in your email (or attach) a first draft of an Amended Terms of Service Agreement for use by federal agencies. This is the document that will be reviewed by each agency that would like to consider using your product. 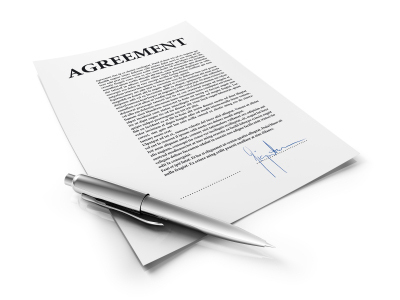 You can replace this document with updated versions as you negotiate with agencies. Create a generic mailbox like socialmediaapps@gsa.gov so that interested agencies can contact you if they have questions about their agency account. Provide any specific instructions you need to give federal agencies that would like to use your product under a signed agreement. GSA legal counsel will then review your offer. If approved, we will post: your product name and link to your website, a very short product description and a link to the amended Terms of Service (TOS) on to DigitalGov.gov. Once you are listed on DigitalGov.gov, you will be seen by potential agency users as a provider who offers free products and who is willing to agree to federal–friendly terms of service. Federal social media TOS points of contact will work with their attorneys to review the products to see if they meet their business needs. They will also review the federal–compatible terms (either your general terms or a proposed amendment for federal agencies, as described above) to see if they meet agency programmatic and legal requirements and then they will sign the amended TOS for their agency to use. If your interaction with federal agencies results in changes to your initially submitted federal–friendly Terms of Service, you must email the updated terms to GSA. GSA will post your latest offered terms of service on DigitalGov for subsequent agencies to review and sign.